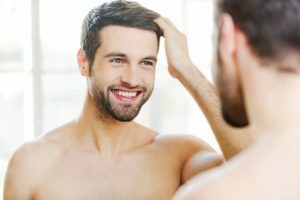 Losing you hair can make you feel extremely self conscious, although many of us don’t really worry too much about hair loss, until we start to lose it. This is where products like our Instant Hair Thickening Spray, can help to enhance the look and feel of your hair, giving you a real boost in confidence and helping your hair to once again become your crowning glory. Used by 1000’s of men and women of all ages. 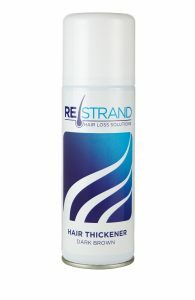 RESTRAND Hair Thickening Spray works by coating the hairs with a fine layer of liquid oxide which bonds to the hair strands, thickening them, thereby resulting in the appearance of a thicker, fuller head of hair. RESTRAND covers bald patches and scalp show-through to give you the appearance of a full head of hair. The formula can be used as often as you feel you need to. The unique Hair Thickening Spray comes in a wide variety of colours, meaning that you will have no problem finding the right shade to match your existing tones. Once applied, the product offers an invisible solution to users looking to enhance the appearance of fine or thinning hair or simply to cover up any bald patches. If after purchase you are not entirely happy with the colour then we will gladly exchange it for a darker/lighter shade. Designed to withstand the rigours of daily life, the formula will remain in your hair until you choose to wash it out. Easy to apply and simple to remove, RESTRAND instantly changes the appearance of your hair for as long as you need it to. 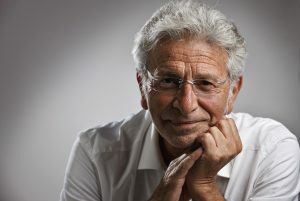 Whatever your style, age or hair type, RESTRAND offers you a fast and effective way to look and feel young again. The proven formula is suited just as well to short hair styles as it is to longer ones. Turn back time with an Instant Hair Thickening Spray that actually works. We are the UK’s leading supplier of hair thickening products and have helped 1000’s of customers to feel great again. A full head of hair will not only make you look younger, it will also help you feel more confident and reinvigorated. Thick and lustrous locks are a wonderful example of healthy hair, and are always very much in style. Adding the use of an instant hair thickener to your hair care regime can add volume and dramatically enhance your appearance. 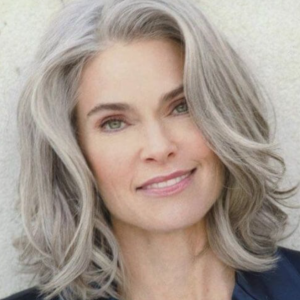 The experts at RESTRAND understand just how important your hair is to your overall confidence and well being. Well groomed shorter styles or long over the shoulder styles can look and feel great on both men and women. However, over time hair can start to thin and lose some of its former glory. A combination of stress, hormonal imbalances, heath conditions and your own genetic make up, can lead to those once strong locks becoming lacklustre and limp. Traditionally, people have spent many a lost hour trying to create extra volume using various cutting, drying and styling techniques whilst some resort to ‘combing over’ to give the impression of a thicker, fuller head of hair. Fortunately, thanks to an innovative new formula, you can say goodbye to the blow-dries and expensive stylists and enjoy an instant boost with RESTRAND Instant Hair Thickener. Designed to instantly improve volume and help to cover bald patches and hair loss, this miracle solution gives the appearance of thicker, fuller hair in one spray. As you are probably aware there are a multitude of lotions and potions available on the market, all promising to deliver glossier, healthier and fuller hair for everyone. Depending on your individual requirements, you can change the colour and texture of your hair, and even cover up the parts where the hair no longer grows. With so much choice, you will no doubt be able to find a product that promises to change both your hair and your life! RESTRAND Instant Hair Thickener is one of these products with the difference being that it really does work! RESTRAND instantly transforms the appearance of thin or balding hair. Scientifically developed to enhance the appearance of the hair, It will make a real difference to the overall appearance of the hair. The advanced formula bonds to the hair shaft, making the hair thicker and more vibrant with colour. It is easy to apply and can be easily removed using warm water and shampoo. Using RESTRAND is a quick and easy way to improve the appearance of thinning or balding hair. One application can strip years away from your appearance. RESTRAND comes in a variety of colours, all of which are designed to blend in with your own natural hair colour. RESTRAND Instant Hair Thickener is ideal for men and women of all ages, and stays in place until you choose to shampoo it away. 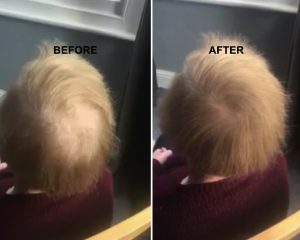 A simple, fast, and effective solution for hiding hair loss improving the appearance of your hair. Look great and feel younger in one easy application.